I have been so excited to share this recipe with y’all! 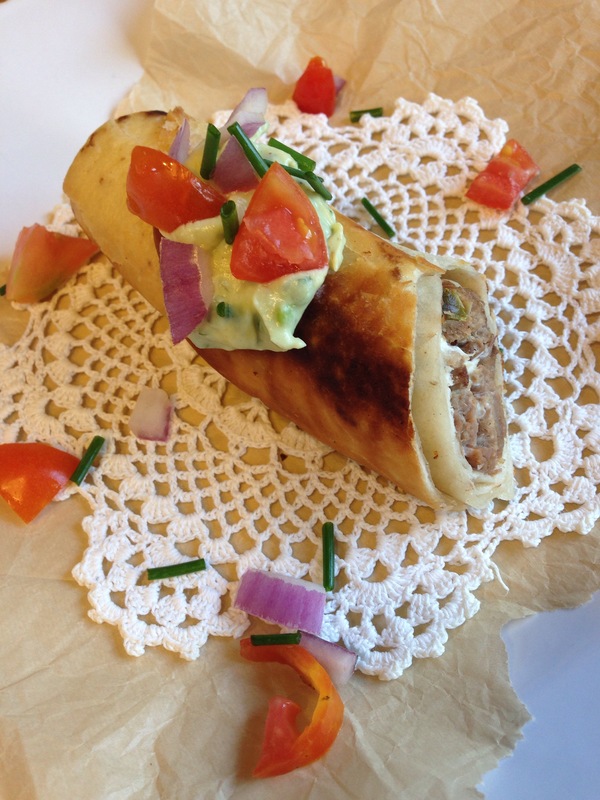 These taquitos are a crowd pleaser! Every time I have ever made these for a group there are NEVER any left! They are a favorite among my friends and family. I typically serve these as an appetizer but they can be eaten as a meal as well. They are easy to make and bursting with fresh flavors! A Mexican food must!! 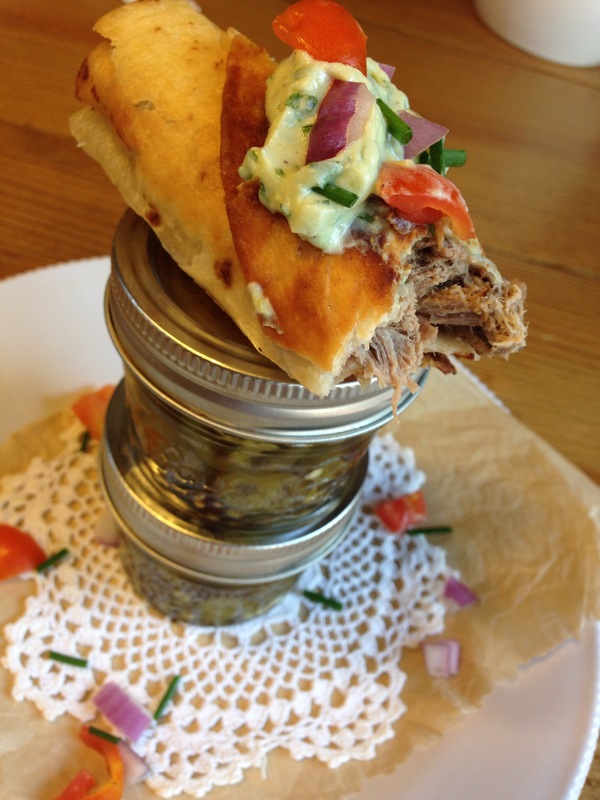 This is one of my favorite ways to use those pickled jalapenos from the garden. 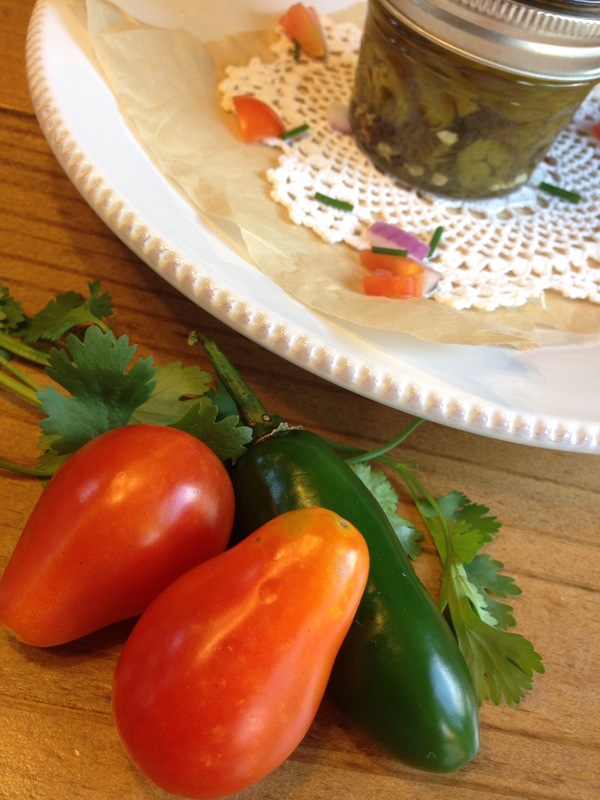 If you missed my post on how to pickle your own jalapenos click here Pickling Jalapenos. I also LOVE making this recipe because it has so many ingredients that come from the garden, fresh tomatoes,chives, cilantro and pickled jalapenos. The more ingredients from the garden the BETTER! Did I mention they are super simple to make? 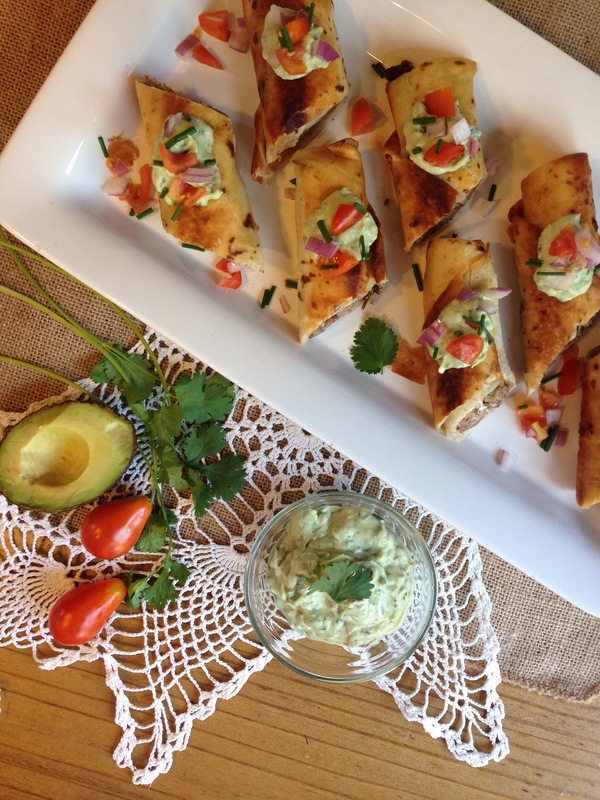 These taquitos make the perfect appetizer and with football season right around the corner make sure to pin this recipe! The football fans will love them! Cook roast in crock pot half full of water on low for 3-6 hours. After the meat is done cooking allow to cool and shred meat. You can shred the meat with a fork or you can put it in your kitchen aid mixer if you have one and let it do the work. That is one of my favorite ways to use my kitchen aid. Well besides making baked goods of course, it shreds the meat in no time! Then mix in cream cheese and chopped jalapenos. I like to make sure my cream cheese is room temperature, it’s easier when mixing it with the meat. If it’s not room temperature 15 seconds in the microwave usually does the trick. 3.Start by chopping tomatoes, chives, and red onion and set aside. Then take a tortilla and spread meat mixture in a horizontal line about an inch thick and an inch tall, roll your tortilla and fasten with a toothpick and continue until meat mixture is gone. Then set aside. 4.Put oil in pan and place on medium high heat. While your oil is heating place avocado, lime juice, cumin, sour cream and cilantro in a blender and blend until smooth. 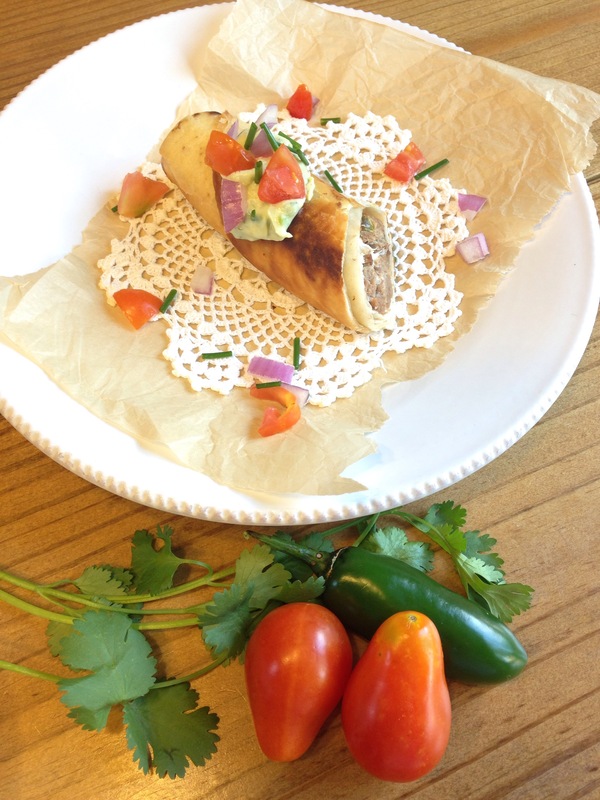 5.Once your oil is heated, place taquitos in pan and allow to fry for about 1 min on each side or until golden brown. Your just frying it long enough for your tortilla to get some color and crunch! Once it is nice and golden brown place on a paper towel to help soak up some of that oil. 6.Then cut into 3-4 pieces, top with sauce and garnish with tomatoes, chives, and red onion. Serve right away. 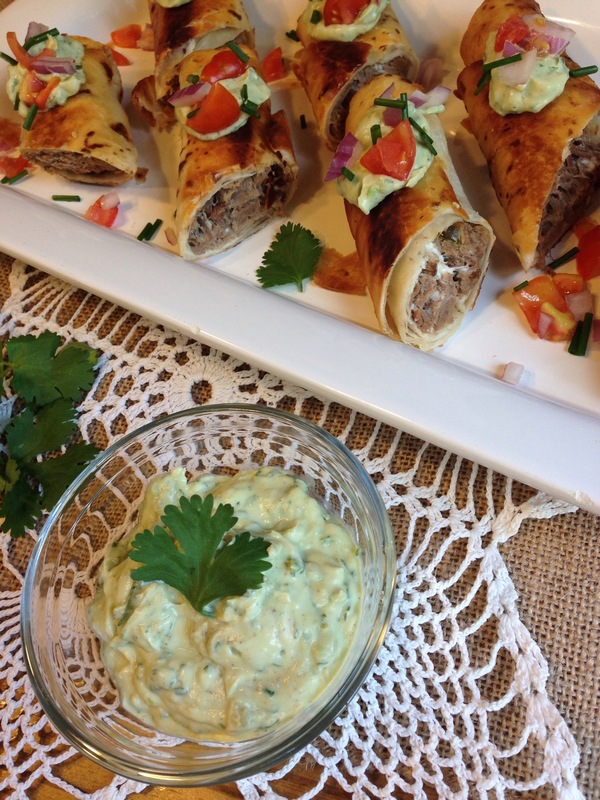 If you’re looking for a perfect crowd pleasing appetizer look no further! You found it!